solid 14 karat yellow gold with diamonds around the stone. 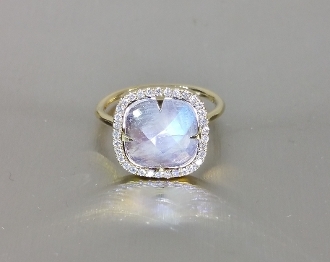 The size of the moonstone is approximately 10x10mm. brings success in love as well as business matters, offers protection on land and at sea.